Celebrity Deathmatch Season 6 Episode 7 Where’s Lohan? 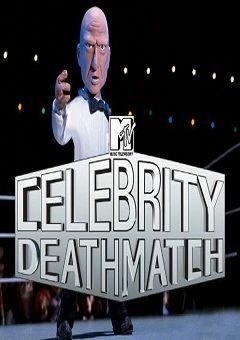 Celebrity Deathmatch Season 5 Episode 1 Celebrity Deathmatch: Bigger and Better Than Ever! Celebrity Deathmatch Season 4 Episode 6 Where Is Albert Einstein’s Brain? Celebrity Deathmatch Season 4 Episode 1 Where is Bob Costas? Celebrity Deathmatch Season 3 Episode 11 In the Head of Nicky Jr.
Celebrity Deathmatch Season 1 Episode 2 Where is Stallone?